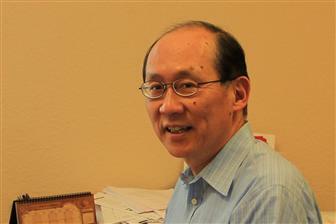 According to Kung, biotech products include healthcare products and consumer products. Investors must have a clear understanding on the difference between the two to avoid making blind bets. Many investors don't have the slightest idea about the nature of business of the biotech firm they invest in. They are merely betting on the assumption that it will be acquired by a big enterprise later on. Such wishful thinking can be problematic. A major difference between healthcare products and consumer products is the former have to undergo a series of tests and obtain approval from government authorities, such USFDA or Taiwan FDA, in order to go to market while the latter, such as dietary supplements and facial masks, have to overcome challenges in marketing and product differentiatio n. Both the investors and the entrepreneur need to have a clear objective as to whether the startup they are funding or founding is selling a product or technology. If it is selling a product, they must know whether it is a healthcare product or consumer product. Only by having a clear picture can investors further assess the potential and market value of the startup. In talking about healthcare products, Kung pointed out Taiwan's current conditions are rather unfavorable for startups endeavoring on healthcare product development. There are three elements to startup success - technology, talent and capital. Taiwan must be able to eliminate obstacles with respect to these three elements in order to foster a flourishing biotech industry. First of all, in terms of technology, Taiwan has very few firms specializing in making innovative healthcare products. Many pharmaceutical firms only produce generic drugs or new forms of old drugs. Strictly speaking, they are not working o n biotechnology applications, let alone making innovations. As such, for a Taiwan biotech startup to succeed, it must have unique technology to be able to establish market presence. Nevertheless, the outlook for the Taiwan biotech industry is not all bleak. Taiwan-based firms still have opportunities in consumer biotech products. For example, Fitbit took the market by surprise with its success at wearable device s for healthcare purposes. It is even leading the competition by a widening distance. If Taiwan-based firms set a goal to develop consumer biotech products, they must have innovative ideas, know the competition well and realize what it takes to penetrate into the market. They also need to overcome technological barriers so that their products can cater to consumer preferences. Kung emphasized entrepreneurs endeavoring on biotech development need to stay on top of market conditions and establish a clear market position. Only by doing so can they minimize the risks when starting a new business.